Together with SuperValu, Noel’s mission is to bring the best, quality food to our tables. 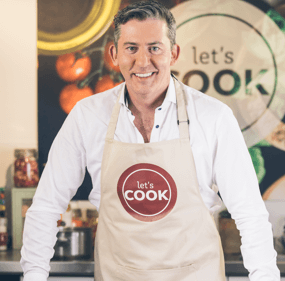 A passionate ambassador of local produce, Noel’s challenge to us all is to shop local, buy local and get cooking with fresh, wholesome ingredients. Executive Head Chef at the prestigious Lough Erne Resort in Enniskillen, Noel has catered for everyone from celebrities to visiting Heads of State and has won numerous awards along the way. Noel is able to buy everything he needs for his home cooked meals in his local SuperValu, from fresh meats to seasonal fruit and vegetables, all on his doorstep. He applauds the fact that SuperValu stores are individually owned by local families with a real passion for food. Keep it simple. I believe this is the key to creating great cuisine. I am not interested in over complicated and over seasoned food.